Disclaimer: The name, logo, trade mark of the hospital do not belong to mediwheel.in and the same have been used solely for promotional purpose only. The goal of our organization is to have continuum of care for the individuals, one which is connected and integrated on all levels. An unique setup which utilizes our trademarked online platform for all wellness, Diagnostics, Health related activities. 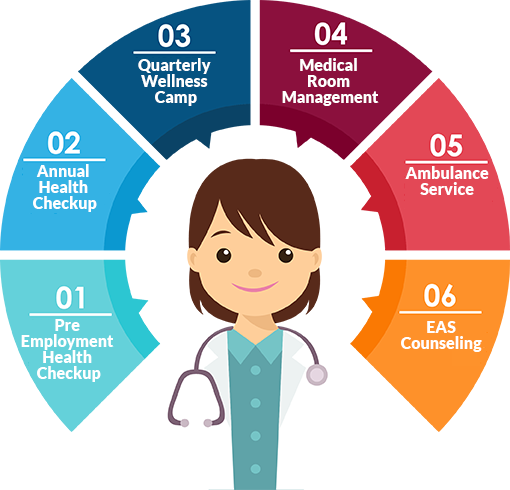 Our team of Doctors, and Partner Companies enable you and your organization to help employees manage their health. We would like to take care your health wellness..